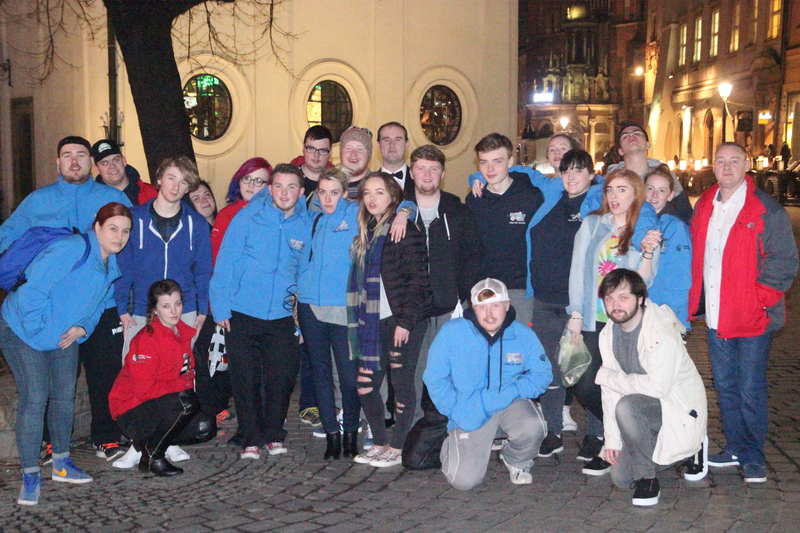 Northern Ireland Youth Forum’s ‘United for Change’ participants fly high! 19 participants successfully completed NIYF’s ‘United For Change (UFC) programme on the 31st March 2016. 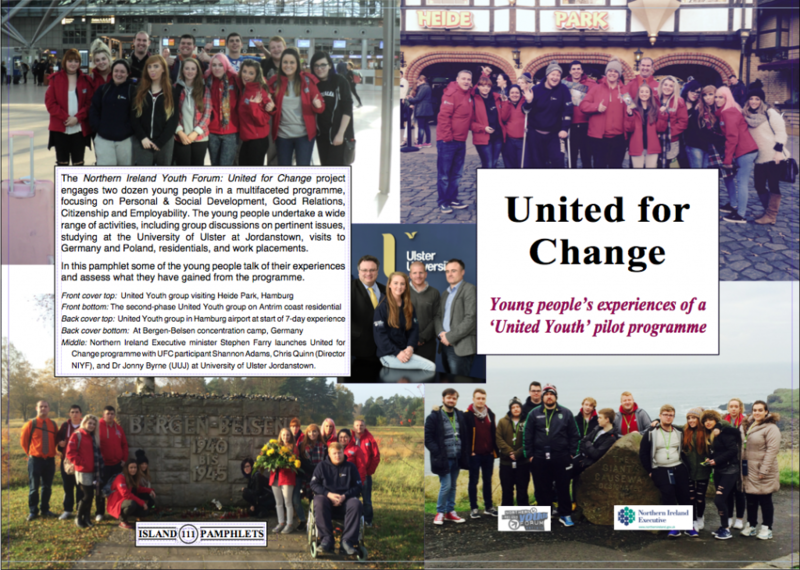 This United Youth Pilot programme is a key commitment in the Northern Ireland Executive’s ‘Together: Building a United Community’ strategy. The Department for Employment and Learning (DEL) lead on the implementation of United Youth on behalf of the Northern Ireland Executive. The 19 participants who come from Antrim and Newtownabbey took part in an 8 month full time programme which began in August 2015. The purpose of the programme was to focus on four key United Youth outcome areas – personal development, good relations, citizenship and employability – but central to all of them is a positive, youth-centred, youth-development approach. The participants took part in a diverse range of innovative activities including cutting edge group work, an accredited university programme, international travel to Poland and Germany, work placements and experiential learning days to name but a few. Phil Glennon coordinator for ‘UFC’ stated that this programme “aimed to make a major impact to the lives of unemployed and educationally disengaged young people by offering not only the chance of university study but also one to one mentoring, peer leadership training, overseas experiences and good relations training. Participants have accessed a wide range of learning opportunities including a full taste of university life. This programme has inspired, created change and left a legacy with participants for the future. They have also been supported by a very experienced and energetic youth work team”. Not only did the participants produce an invaluable pamphlet on UFC which gives some insight and participant case studies which explores their lives prior to engagement, it also demonstrates the ‘distance travelled’ by participants in terms of personal change, learning and development that took place. Participants also took part in the production of a small film which showcases the programme and gives some insight into the programme. Shannon Adams, 19, from Monkstown said she has learned so much about herself, adding: “The youth workers have been amazing and offer you so much support. I have enjoyed university and I’m so thankful for the opportunity. I also have made good friends and hope to keep the friendships when the programme is over. I have now gained employment as a result of this programme and hope to go to university as well. I also now have the confidence to go interviews and work with other people. This programme has been life changing”. For more information on United For Change please contact Phil Glennon philipg@niyf.org, 02890 331990.